Austria, Official Euro Proof Coin Set. New, modern Design. 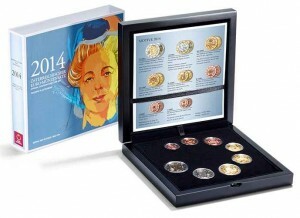 Featuring all eight coins, from 1 cent to 2 euro. 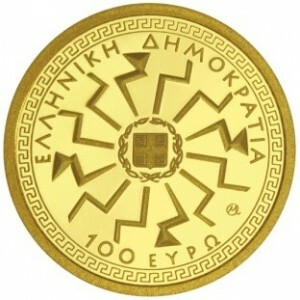 Mintage: 10.000. Comes in a case complete with a numbered certificate of authenticity and protective slipcase. 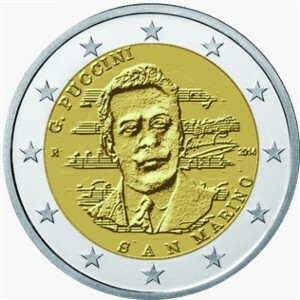 Coin dedicated to 90th Anniversary of the Death of Giacomo Puccini. Quality Brilliant Uncirculated. Commemorative 2 euro coins issued to celebrate the 150th anniversary of the union of the Ionian Islands with Greece. 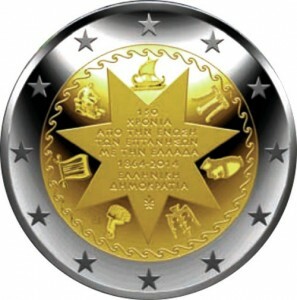 The ‘Seven Point Star’ symbolizes the “Ionian Dimension” (“ΙΟΝΙΑ ΔΙΑΣΤΑΣΗ”): the ‘Group of Seven Islands’ in the Ionian Sea bore and inspired outstanding representatives in the fields of Art, important musicians, poets, painters and politicians. Clockwise from top, the visuals symbolize the following islands: Corfu’s emblem is the “apedalos naus” (“ΑΠΗΔΑΛΟ ΝΑΥΣ”: ship without steering gear), as ‘Great Nautical Powers’ were attributed to the island and its sailors were well known for their nautical abilities and skills since ancient times . Zakynthos is represented by the sacrificial tripod of Apollo — Ithaca: Odysseus is depicted with the anciant hat Pileus “ΠΙΛΟ” — Paxi’s emblem is a trident “ΤΡΙΠΟΥΣ”: according to a mythological tale, it was created when Poseidon hit the island of Corfu with his trident, splitting it in two — Kythira, the island of celestial Aphrodite, is symbolized by her ‘emergence from the sea’ “ΚΥΘΕΡEΙΑ ΑΦΡΟΔΙΤΗ” — Lefkada is represented by the ‘Apolonian harp’ (“Απολλώνια Άρπα”), symbol for its ‘Great Musical Tradition’ — Cephalonia’s emblem is its mythical hero Cephalus, depicted with his hound and spear. EL GRECO. 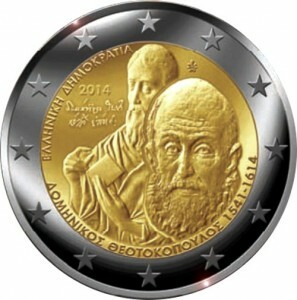 Commemorative 2 euro coin issued to commemorate the 400 years since the death of Domenikos Theotokopoulos. El Greco, born Doménikos Theotokópoulos (1541 – 7 April 1614), was a painter, sculptor and architect of the Spanish Renaissance. “El Greco” (The Greek) was a nickname, a reference to his national Greek origin. El Greco was born in Crete, which was at that time part of the Republic of Venice, and the center of Post-Byzantine art. He trained and became a master within that tradition before traveling at age 26 to Venice, as other Greek artists had done. In 1570 he moved to Rome, where he opened a workshop and executed a series of works. During his stay in Italy, El Greco enriched his style with elements of Mannerism and of the Venetian Renaissance. In 1577, he moved to Toledo, Spain, where he lived and worked until his death. In Toledo, El Greco received several major commissions and produced his best-known paintings. Mini Gold Plus Collector Coin with face value of 100 euro, dedicated to the “Hellenic Mythology – 12 OLYMPIAN GODS – ZEUS” with maximum mintage of 1.000 pieces. Purity 916,666‰ Au, 53‰ Ag, 30‰ Cu. Weight: 3,89g, Diametre 17mm. 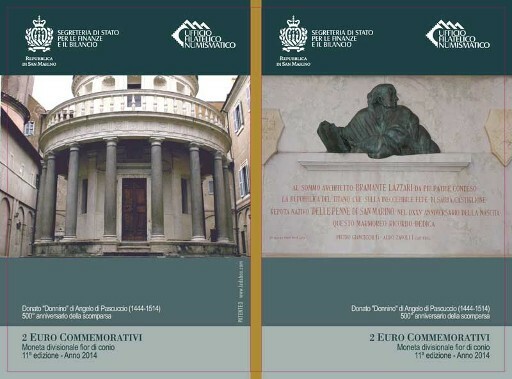 Coin dedicated to 500th Anniversary of the Death of Donato “Donnino” di Angelo di Pascuccio, Brilliant Uncirculated. Donato Bramante (1444 – 11 March 1514) was an Italian architect, who introduced Renaissance architecture to Milan and the High Renaissance style to Rome, where his plan for St. Peter’s Basilica formed the basis of design executed by Michelangelo. His Tempietto (San Pietro in Montorio) marked the beginning of the High Renaissance in Rome (1502) when Alexander VI appointed him to build a sanctuary that allegedly marked the spot where Peter was crucified. 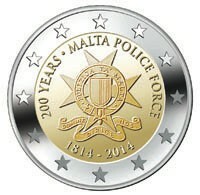 Malta, Commemorative 2 euro coin, 200 Years Malta Police Force, 2014. 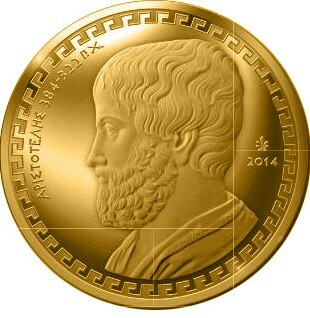 ARISTOTLE, 2014. 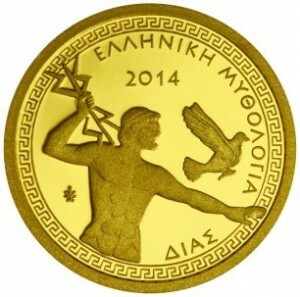 Gold coin 200 Euro, 2014. Au 916.7 – weight 7.99g – diametre 22.10mm. Μintage 600 items in Proof Quality.